A new standard in orchestral sample library innovation, this will significantly expand your existing orchestral palette to include a huge variety of totally unique textures. As an alternative to just using straightforward long notes, this library draws upon the pointillistic effect of having multiple players perform short notes at random intervals to create an undulating swell of sound that can be performed in real time for inspiring results. 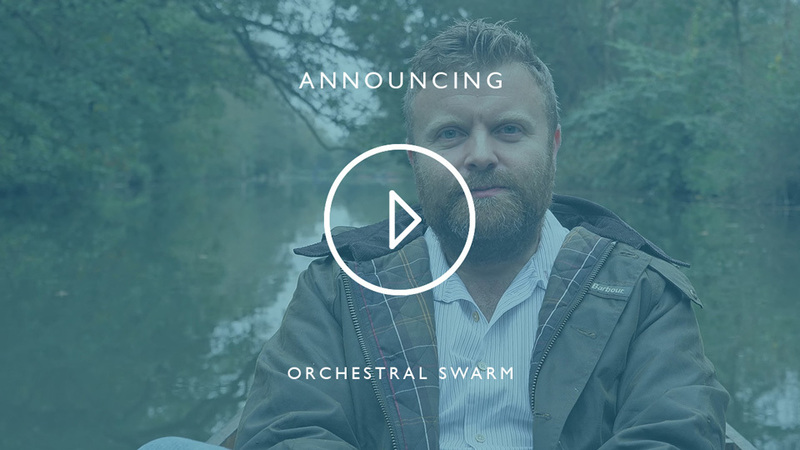 Taking our Swarm approach, but adapted for the orchestra, it gives access to even greater detail by utilising the huge variety of articulations and playing styles of orchestral instruments and will give your compositions a liquid dynamic that dances alongside the picture. This library has been created exclusively in collaboration with Bleeding Fingers, and is featured in Blue Planet ii and Hans Zimmer/Radiohead’s collaboration “(ocean) bloom”. 29.7 GB download size Too large to download? Choose hard drive delivery at checkout. This library is an innovative collaboration with Bleeding Fingers (Planet Earth II, Sons Of Liberty, Roman Empire: Reign Of Blood), who wanted to create this library to use for the BBC’s flagship series: Blue Planet II. Their concept was to record multiple players performing random short notes of the same pitch. The effect would be a granular “cloud” of notes - beautiful long sonic textures created from layers of micro-moments to be used in place of more traditional long notes; a perfect soundtrack to the oceanic goings-on as featured in the groundbreaking television show. Now, we at Spitfire know this approach well - it was this technique that we use for our Swarm libraries, and this opportunity pushed us towards a new territory - to utilise the power of an orchestra in this Swarm technique. We delivered an initial library quickly and in secret for the team at Bleeding Fingers to use exclusively for the show. Hans Zimmer and Radiohead even went on to use it as part of their “(ocean) bloom” collaboration. We then later returned to the studio to capture even more with the orchestra, including short notes and expanded techniques and layers, to create the most complete tool for media composers. 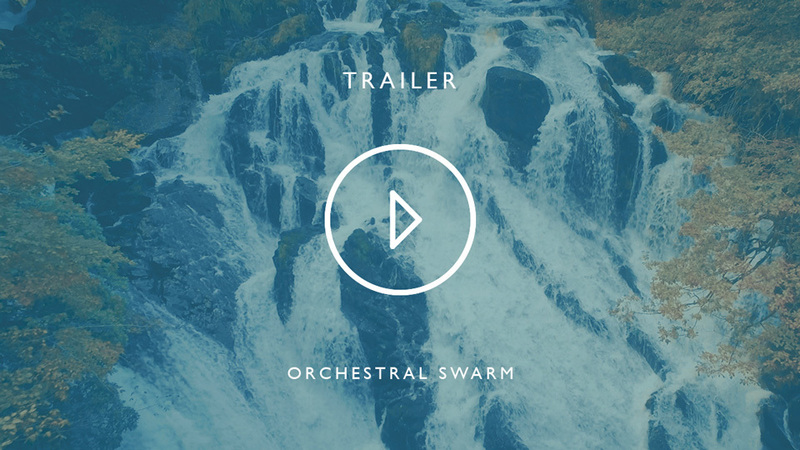 If you tire of static sounding longs, or have fallen out of love with shorts ostinatos, this new textural approach to orchestral sampling will add life to your arrangements. Join the pioneers of modern concert music and scoring to explore a new league of orchestral compositions. The library consists of various string, brass and woodwind ensembles, recorded individually and with the Swarm pointillistic approach, using techniques most idiomatic for those instruments. Many of these sounds have never been sampled before. 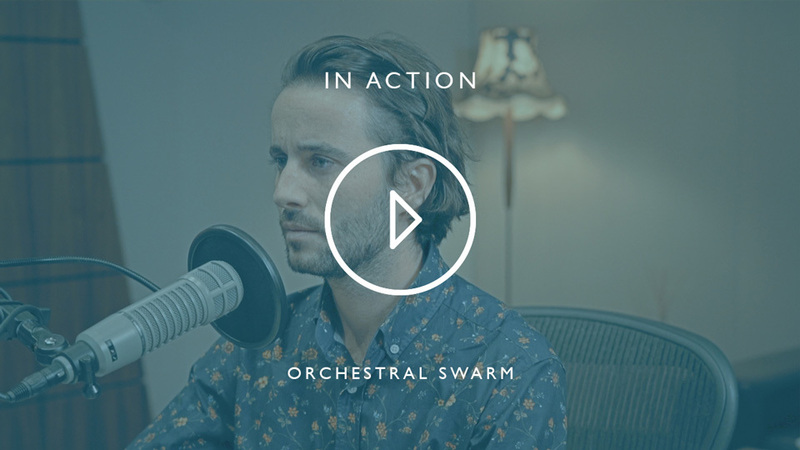 From bassoon ‘pops’ to horn ‘flutter tongues’, we’ve taken a wide range of techniques and combined them via the Swarm approach (where players each randomly play short notes to create a beautifully random cloud of sound) to give a vastly increased sound palette to your existing orchestra. The included individual ensemble shorts also further extend your options, enabling you to add a rhythmic element to your work. 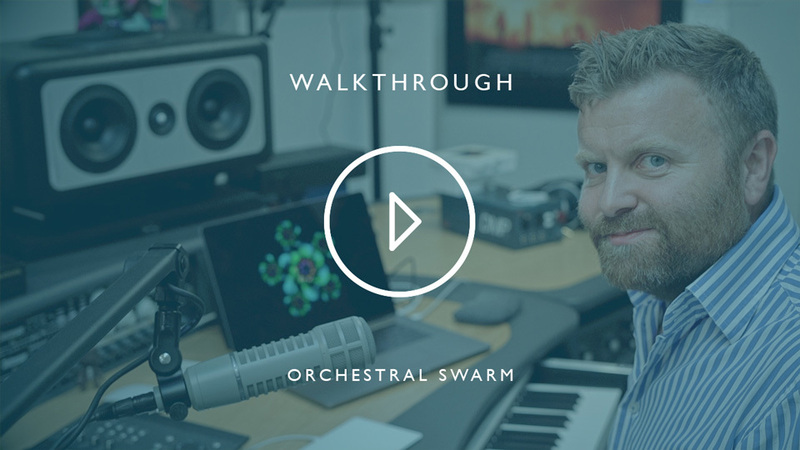 In addition, the provision of two reverbs on board - a tight ‘stage’ sound and a longer more lush ‘hall’ sound - makes blending the Swarms with your existing orchestral libraries a breeze. We’ve applied the same no-expense-spared approach to these sessions as any other Spitfire library, this time at one of the most well-stocked and highly-maintained studios on the planet: British Grove. Founded by Mark Knopfler, British Grove is one of the few large-scale studios to have been built in the new millennium, and its unique vision to combine state-of-the-art technology alongside legendary original pieces (it owns two original and fully-restored EMI desks as used by Sir George Martin and The Beatles) has it marked out to leave behind a noteworthy legacy. The signal path on the day featured the Neve 88r console, utilising both the onboard pres as well as the Broadhurst Gardens pres for room mics and the EMI TG console pres for some of the mid room mics. Transducers included: Royers, Ela M, Neumanns and Coles. The recording stage is a medium-sized, semi-reverberant room allowing for precise detail but with enough energy to maintain a character and fullness.